A striking location creating a unique sense of place. Untouched. 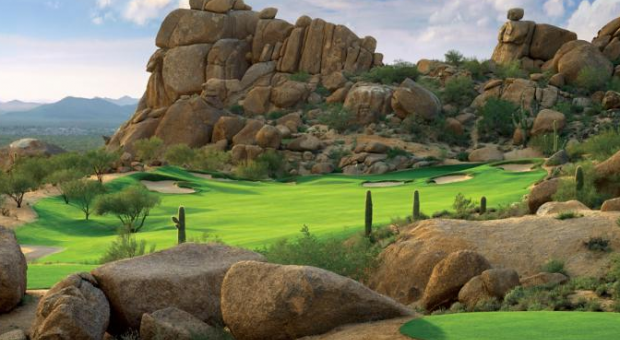 Unspoiled. 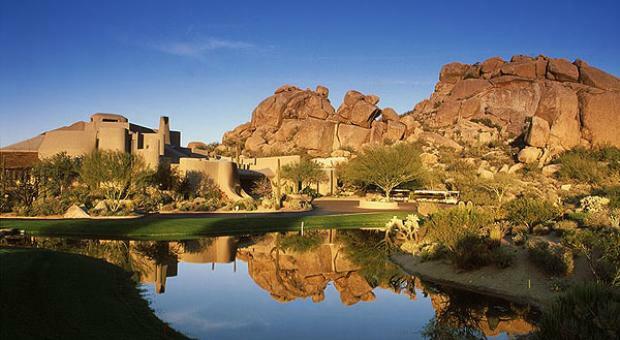 Escape to a secluded haven amid the natural splendor of painted desert sand, towering cacti, and clear, blue sky, Boulders Resort & Spa. 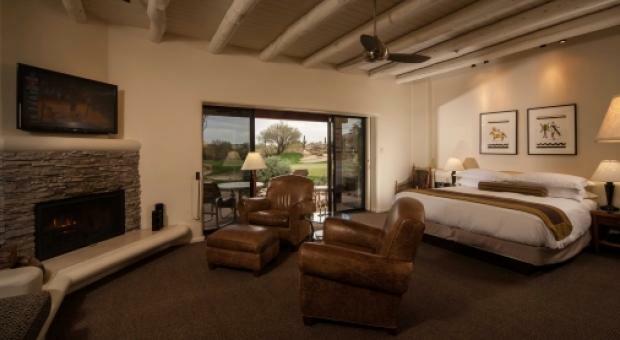 Located on 1,300 acres of pristine Sonoran desert, this retreat truly inhabits a unique location. 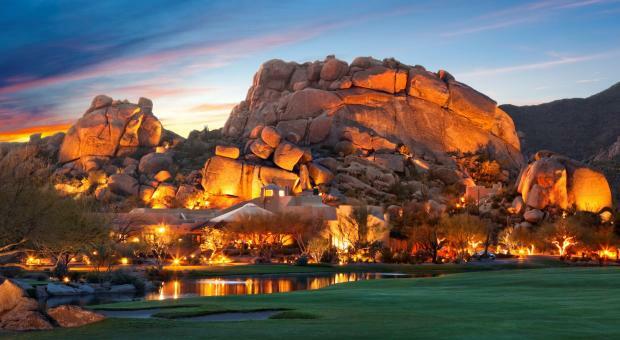 Nestled in the Sonoran Desert just outside Scottsdale, Arizona, our award winning accommodations, and stunning natural beauty, create the setting for an unparalleled getaway. 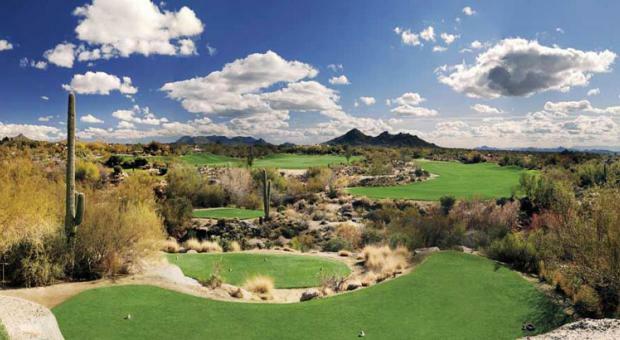 Enjoy a round of golf with a choice of two Jay Morrish designed courses. 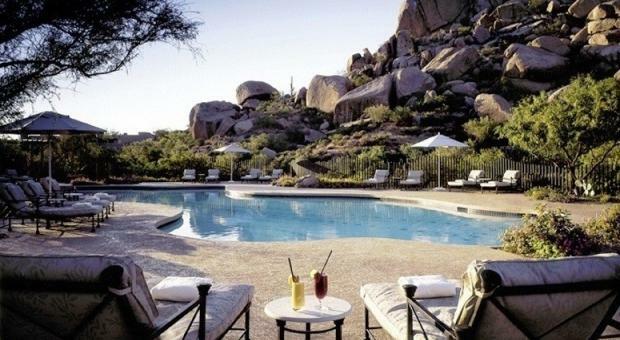 Relax and repose in adobe casitas and villas expertly blended into the breathtaking landscape of ancient 12 million year old boulders. Experience unsurpassed recreation elegantly combined with robust indulgence, flawless service, and a breathtaking setting. Casita King- 550 sq ft. Double Casita - 550 sq. 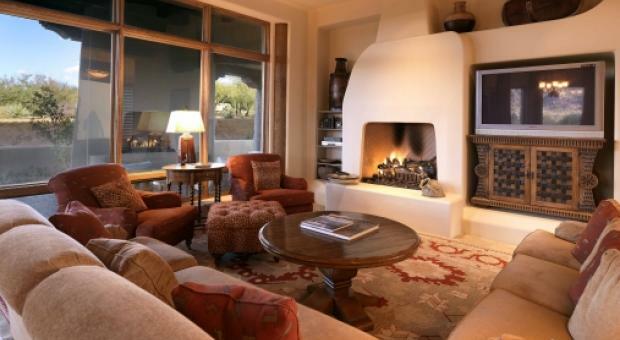 ft.
Two Bedroom Ocotillo Villa - 1800 sq. ft. Premium bedding. Balcony. Separate sitting area. Desk. In-room safe. Television - Cable service. Cable/satellite TV. Premium TV channel(s). Multi-line phone. Voice mail. Clock radio. Minibar. Coffee/tea maker. Designer toiletries. Bathrobes. Slippers. Hair dryer. Iron/ironing board. Complimentary newspaper. Turndown service. Air conditioning. Ceiling fan. Climate control. Bedding consists of 1 king bed in the Master bedroom and the options of One King, Two Double Beds, or Two Twin Beds in the Second bedroom - Bedding type requests based on availability. Three Bedroom Ocotillo Villa - 2200 sq. ft.
Egyptian-cotton linens. Private, furnished patio with barbecue grill. Exterior-corridor access. Separate sitting area. Dining area. Fireplace. Hand-hewn wood-beamed ceilings with fan. Authentic Southwest artifacts. Wooden shutters. Walk-in closet. Workspace with two telephones and voice mail. Wireless Internet access. Flat-panel HDTV. Premium cable service. CD and DVD players on request. iPod dock. Kitchen. Most villas have an oversized bathtub. Stone countertops. Bathrobes and slippers. Garage. Washer/dryer. Bedding consists of One king bed in the Master Bedroom and the options of One King, One Queen, One Double Bed, Two Double Beds, or Two Twin Beds in the second and third bedrooms - Bedding type requests based on availability.